Rome is one of the biggest capitals in Europe. With over 3 million inhabitants, this ancient city got lot of history. This city boosts a huge Metro Public Transportation Network and a smaller tram network. It also got some interesting light rail lines too. So, it’s worth it to make a visit to Rome for sure if you enjoy traveling with public transportation choices. Now, with this great Metro Line C news that happened on 12th of May this year. The public transportation in Rome got a bit better for everyone, even though the extension that got opened is only 0.6 km. The Metro Public Transportation Network in Rome is now a bit better in every way, because now the eastern part of Rome is way easier to reach as San Giovanni station is a bigger station. 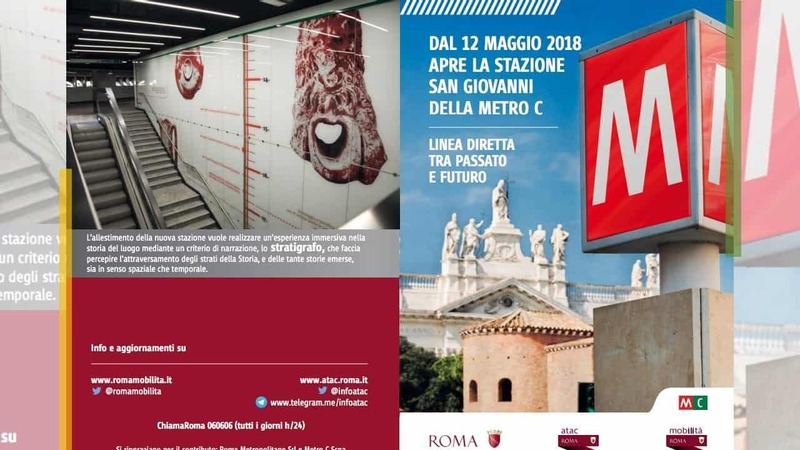 Here Metro Line A runs and at the moment it will be the last stop for Metro Line C.
The ATAC plan is to extend it all the way to Colosseo where Metro Line C will meet Metro Line B. Colosseo is one of the most known arenas ever built. So, to see more Metro Lines meet here in the future is a nice project for Metro Line C.
So, for now you need to take Metro Line B to San Giovanni before you can continue using Metro Line C. Or if you are going from one of the Metro Line C stations to Colosseo. You need to change at San Giovanni to Metro Line A that runs towards Battistini, but you should change to Metro Line B at Termini. Here you need to take Metro Line B towards Laurentina, which takes you to Colosseo station which sits just beside Colosseo arena. It’s really neat to see capitals extend their systems too. Not just the smaller cities around. And when it means a lot for the public transportation in the city. Then it’s worth the wait. Congratulations to Rome!